A move towards greater coherence began in 2006 with the creation of the Quality and Accountability Initiatives Complementarities Group, which helped to build links between the 2010 HAP Standard, People In Aid’s Code of Good Practice and the former Sphere Project’s Core Standards (now replaced by Sphere). The need for greater coherence in humanitarian standards became even more important as the disasters in Haiti and Pakistan highlighted once again the gaps between the aid that was needed and that which was provided, and illustrated the need for greater effectiveness, impact, accountability and quality in humanitarian action. The Humanitarian Accountability Partnership (HAP), People In Aid and the Sphere, came together under the Joint Standards Initiative (JSI) with the common goal of making it simpler and easier for aid workers to implement standards. Putting communities and people affected by crisis, and humanitarian principles at the heart of standards in the sector. As a result of the JSI process, HAP and People In Aid committed to develop a Core Humanitarian Standard, with a view to replacing the 2010 HAP Standard and the People In Aid Code of Good Practice once it is launched in December 2014, to support the harmonisation process. Sphere team also contributed to the development of the CHS, and the process greatly benefited from their input. In 2014, Groupe URD became a partner in the CHS development process.The Quality COMPAS, managed by Groupe URD, has also committed to replacing their reference framework with the CHS. 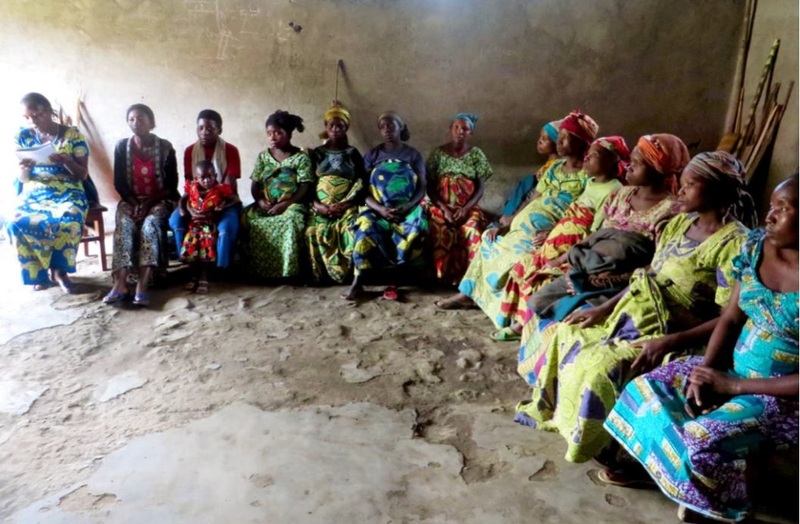 P-FIM training participants listen to a group of pregnant women, girl mothers, women's associations and survivors of SBBV in North Kivu, DRC. Save the Children is embedding the CHS as our guiding standard within emergency response. Above all, we wish to place accountability to children as the driving force behind everything we do.